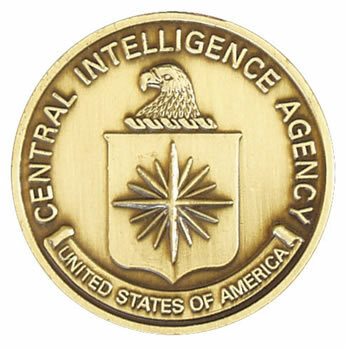 The following is a list of links of US Military, CIA and DEA (BNDD) operations from the Vietnam War to the Invasion of Panama that allowed for the global control of narcotics by US intelligence agencies in the 20th century. We have also included two video documentaries called ‘The Mena Connection’ and ‘Who Is The American Connection’, special thanks to Kevin Saunders & friends for providing this viewing material to our audience. During the late 1950’s and early 1960’s; French-Corsican and Sicilian heroin traffic into the United States was largely facilitated through the nation of Cuba. Monies made from domestic heroin sales by organized crime were laundered back into Cuban banks to be converted to gold and stored in Havana. When Fidel Castro organized the communist revolution of Cuba, these mob monies were seized. Allen Dulles and John Foster Dulles, the founders of the Consortium organized Operation 40 along with the help of then Vice President Richard Nixon. A group of Cuban Exiles were trained by the CIA to carry out assassinations and terrorism within Cuba to overthrow the government, reclaim the mafia gold holdings and re-establish the French Connection heroin flows. Operation 40 was largely sponsored by Zapata Oil, who held large offshore Cuban oil interests and was owned directly by the Bush family. Operation 40 would be the precursor to Operation J/M-Wave & the Bay of Pigs in which the CIA operation was sabotaged by President Kennedy to prevent the reacquisition of mob monies and make a severe financial strike against the Anglo-America Consortium. During the Vietnam War, a large covert operation called the Phoenix Program was enacted by CIA Director William Colby to reopen heroin trafficking routes out of the Golden Triangle in Laos, Cambodia, Southern China and Burma which had largely been stopped by VietCong operations during the early 1960’s. The program was described to the American public as an assassination, terrorism and torture program against the VietCong but what wasn’t revealed was the large scale heroin trafficking of China White Heroin through the caskets of dead soldiers, from the Golden Triangle to the California ports of San Francisco, Los Angeles, Long Beach and San Diego. Many Phoenix Program operatives involved in the CIA heroin smuggling operations would be recruited into the DEA for opening up cocaine trafficking routes in South America during Operation Condor in the 1970’s. “Operation Intercept was an anti-drug measure announced by President Nixon at 2:30pm on Sunday, September 21, 1969, resulting in a near shutdown of border crossings between Mexico and the United States. The initiative was intended to reduce the entry of Mexican marijuana into the United States at a time that was considered to be the prime harvest season.” This was the first attempt by the Consortium to manipulate domestic marijuana prices within the United States as part of the beginning of Nixon’s War on Drugs. The price shock crushed many small and mid-level domestic marijuana suppliers who could not afford the dramatic price increase caused by the Nixon market blockade leading to Consortium control over the domestic US marijuana market for the first time. Nixon’s goal was to crush domestic marijuana production and make the US marijuana supply dependent on foreign imports which were largely controlled by Consortium assets (The Cartels). Nixon also used Operation Intercept as a tool of economic blackmail towards the Mexican government to make them compliant and cooperative with the impending Operation Condor which would establish continental narco-trafficking routes from South and Central America into Mexico and ultimately the US domestic market. Operation Intercept was largely an extension of domestic counterintelligence programs to suppress the Middle and Working Class populations during the Vietnam War, these programs were known as COINTELPRO. Condor was a mass-scale terror and regime change operation conducted by the CIA and DEA in Central America to establish complete control over the South American narcotics trades. Operation Condor was largely mirrored after previous pro-right wing coups in Europe aided by the CIA in Italy, Spain and Greece and was largely intended to reestablish the international drug trafficking network after the end of the Vietnam War. The end of the Vietnam War, the French Connection and the Nixon Administration through the Watergate Scandal signaled the need for a new ‘Mexican-Colombian Connection’ largely based on the more profitable Cocaine The School of the Americas was created by the CIA and DEA to train cadres of high ranking military officials within the South American nations to stage coup d’etat’s, secret police, counterintelligence, counter surveillance and narco-trafficking operations within their own nations in return for ruling power. The School of the Americas was largely modeled on Operation 40 and Operation J/M-Wave training programs of Cuban Exiles and many of the former exiles were recruited back into the CIA to be utilized as experienced foreign operatives for the missions of Operation Condor. Operation Condor began with the reign of terror in Argentina known as the Argentinian Dirty War and the assassination of Salvador Allende in Chile with by the coup of General Augusto Pinochet. The Argentinian and Chilean Secret Police, SIDE and DINA respectively, served as CIA/DEA intelligence assets to further expand the cocaine narco-trade throughout South America and assist in the toppling of democratic South American governments in favor of cocaine friendly military juntas. Operation Condor was noted for its overthrow of governments in Argentina, Chile, Uruguay, Paraguay, Bolivia and Brazil. Operation Charly was a follow-up operation to Operation Condor to establish the Colombian and Central American cocaine supply routes for the Consortium from South America to Mexico by the CIA and the DEA using Argentinian, Cuban and Chilean paramilitary operatives previously used in Operation Condor. Condor agents were initially used to suppress Sandinista resistance to the cocaine trafficking regime of Anastasio Somoza. After the fall of Somoza during the Nicaraguan Revolution CIA/DEA activities increased with Condor Agents training the Nicaraguan Contra’s to transport Colombian, Peruvian and Chilean cocaine for CIA weapons (later known as Iran-Contra). The CIA would then transport the cocaine to the United States to be sold in the US domestic market to raise illicit non-congressionally approved monies for their global operations, especially the continued support of heroin smuggling in Iran and Afghanistan. To avoid the spread of communist insurgency from Nicaragua, Condor operatives expanded the School of The Americas training program to the militaries of Honduras, El Salvador and Guatemala to ensure the continued flows of cocaine traffic in Central America. Resistance against these Condor trained military regimes would lead to the notoriously brutal El Salvador and Guatemalan civil wars which resulted in the deaths of thousands of civilians. Iran-Contra was an international Drug-For-Arms network created by high ranking members of the Consortium, among them former members of Operation Jedburgh, OSS China, Operation 40, Operation J/M-Wave, The Phoenix Program, Operation Condor, Operation Charly and military intelligence operatives that participated in the Iranian Revolution. The network was masterminded by General Richard V. Secord, Vice President George HW Bush, General John K. Singlaub, Colonel Oliver North, and Manuel Noriega with the assistance of Secretary of Defense Casper Weinberger and National Security Advisor Robert McFarlane. The network consisted of cocaine supplied by Colombian Drug Cartels to former paramilitary operators from Operation Charly transported to the Nicaraguan Contras to be traded with the CIA for heavy arms during the Nicaraguan Civil War. The CIA would then transport the cocaine into Mexico, where it would be transported from the Yucatan Peninsula to be flown to Mena, Arkansas to be sold on the US streets, primarily in Florida and Georgia. The CIA would also use the cocaine to create and manufacture crack cocaine in Nicaragua and Mexico, which would be then transported to the streets of Los Angeles, San Francisco, New York, Washington DC, New York, Detroit and Philadelphia. The monies raised by these operations were used to conduct illegal arms sales to Iran through Lebanon and Israel, through the Iranian terror groups Hezbollah and Islamic Jihad in exchange for high quality and high priced Iranian, Iraqi and Afghan heroin which was made inaccessible due to the Iranian Civil War, the Iran-Iraq War and the Soviet Invasion of Afghanistan. The Invasion of Panama was a military operation ordered by the leader of the Consortium President George H.W. Bush to silence rogue Consortium agent General Manuel Noriega of Panama who had been instrumental in the transportation of cocaine from Colombia into Central America during Operation Charly and the Iran-Contra Affair. Noriega had been a CIA operative since Operation 40 and had threatened to divert cocaine traffic away from the United States after his role in the Iran-Contra Scandal had been revealed. In 1988, the DEA indicted him on federal drug charges and the White House, under George Bush, began a propaganda campaign to label Panama’s government a ‘narco-kleptocracy’. In an attempt to blackmail President Bush, Noriega threatened to reveal his involvement Consortium activities which included narco-trafficking with the DEA, laundering drug money and exposing his special relationship with the CIA if he was not allowed to retain power. Bush responded by ordering a full scale invasion of Panama in 1989, on the pretext of protecting the Panamanian people and the Panama Canal while putting an end to the ‘narco-dictatorship’ of Manuel Noriega. US forces successfully deposed Noriega from power and arrested him. Noriega was put on trial in 1992 and convicted, with evidence from his trial largely censored by the CIA as classified material to prevent Noriega from speaking on his long history of being involved in Consortium activities. Noriega upon his release in 1999 was extradited to France to stand trial for a money laundering charge and was reconvicted in 2010. He was then extradited to Panama in 2011 where he suffered a ‘brain hemorrhage’.